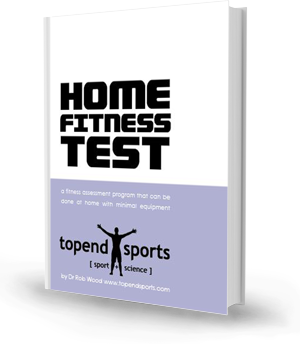 The Home Fitness Test website is a part of the Topend Sports Network. Topend Sports is an Australian registered business, located in Perth, Western Australia. If you need to contact us, please use the form below. Note: we respect your privacy. Include your email address only if you wish to get a reply. Otherwise it is not needed, and if you do provide it we do not store it. Any favourable comments may be used on our testimonials page. If you do not wish your comment to be quoted, let us know. To send an email directly to us, you can post to: info@homefitnesstest.com. Here are some of the suggestions we have already had.